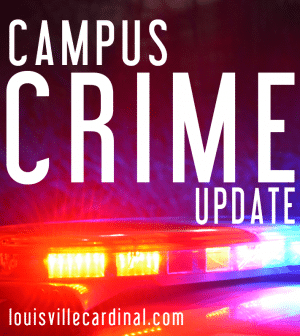 University of Louisville student faced armed robbery at Fourth and Brandeis at 8:25 p.m.
A RAVE alert was sent out at 8:56 p.m. notifying campus a U of L student reported being robbed at gunpoint. The suspects were described as being three African-American males. The suspects fled in an unknown direction in a gray Hyundai Sonata. This is the second robbery in the last eight days. The most recent robbery was Jan. 21 where two armed white males robbed an individual at the same area and headed north-bound in the alley from Brandeis. University of Louisville Police Department is working in conjunction with Louisville Metro Police Department on the investigation. ULPD has been contacted for details. Students, faculty and staff are advised to call ULPD with any information at (502) 852-6111.